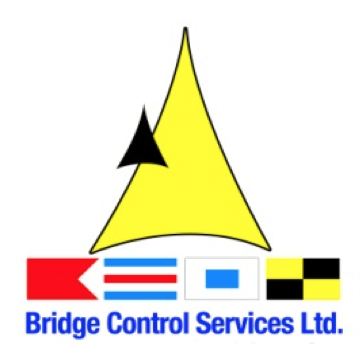 Bridge Control Services Limited is a locally based, highly reputable Company established in the year 2004 to provide transport (launch) services to the pilots of the Trinidad and Tobago Pilots’ Association. During this time, we have developed strong relationships with our customers and have extended our services to transporting immigration, customs and shipping agents etc. to and from vessels. From inception, our Company has adopted a vision of first world status while setting achievable goals to meet and exceed our customers’ expectations. In this regard BCSL has strived to achieve continuous improvement of the Company’s key business processes. The Company has in effect kept and continues to keep both hands on the “helm” to move forward successfully. To ensure we provide an efficient service to our customers, we have invested in state of the art machinery and equipment. In 2004, our operations were launched with the purchase of our first pilot boat, the “Franklin Gooding” to provide services in the Chaguaramas area. In 2007, two more launches were purchased with a third in 2008, fourth in 2010 and in 2012 we purchased the “Captain Harry” to replace the “Franklyn Gooding.” We have in our fleet jet-propelled boats, capable of speeds of up to forty knots, which are fully certified to effectively carry out our services. These fast jet propelled boats operate in the Ports of Point Lisas, Yara, Point-a-Pierre, Claxton Bay, Brighton and Point Fortin. Commitment and competence are the driving forces that define the top quality management at all levels of the organization. Our highly disciplined and professional workforce is reflective of the quality of service we give to our customers and they seek at every stage to improve the efficiency of operations by reducing the transit time between jobs. Maximum potential at every stage of the transportation process is assured by intimately ensuring that safety measures and procedures are in place, thus providing top quality service in a safe and comfortable environment. Additionally, when BCSL sought to acquire our fleet of pilot boats, our selection process for filling the available crew positions weighted heavily in favor of the applicant’s academic qualifications as well as their marine experience. The successful applicants were then trained in-house in maritime operations and boat handling techniques.